Paddlefish do not have a very diverse diet. They mostly feed on plankton, specifically the water flea (Daphnia sp.) (Wilkens, 2001). 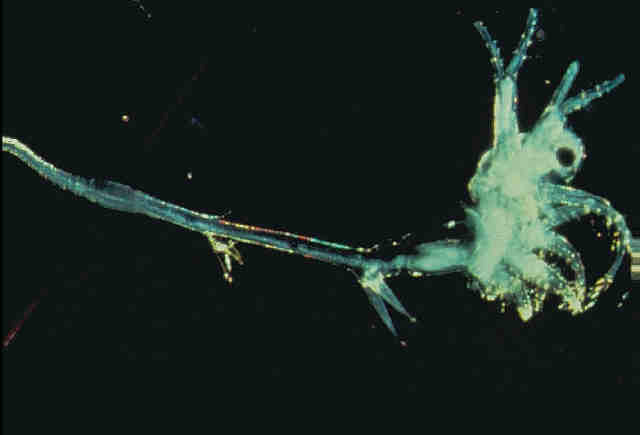 Paddlefish filter feed on zooplankton in order to get their nutrition (Hales, 1981). Some studies are starting to suggest, however, that paddlefish are able to go between filter feeding and selective feeding (Hales, 1981). Paddlefish have a rostral electrosensory system that some studies suggest help them detect their plankton prey (Wilkens, 2001). By use of this electrosensory system, the paddlefish can look specifically for certain foods, such as tiny crustaceans, rather than just filter feed on the many zooplankton that are floating in nearby waters (Hales, 1981). Once the paddlefish is able to use their electrosensory system to seek out the small crustaceans, they strain them out with gill rakers (Paddlefish, 2011). 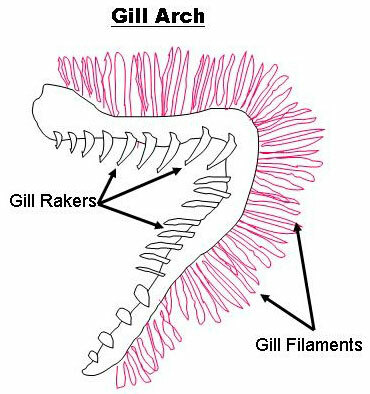 Gill rakers are bony projections that are like combs to help direct solid material, such as the crustaceans, that are floating in the water down the esophagus, preventing it from slipping out through the gill slits (Gills, 2013). 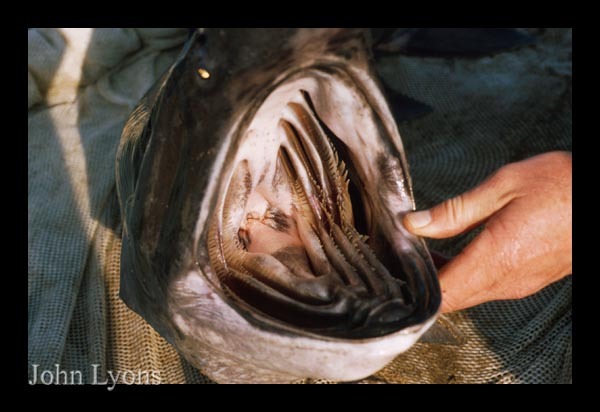 Gill slits are present in most fish, with the exception being those that feed on organisms that are larger, such as other fish (Gills, 2013).